Working with natural fiber is a big part of our activities here at Golden Acres Ranch. Bobbie is a member of the Weavers Guild and has been working on the loom in Country Store. 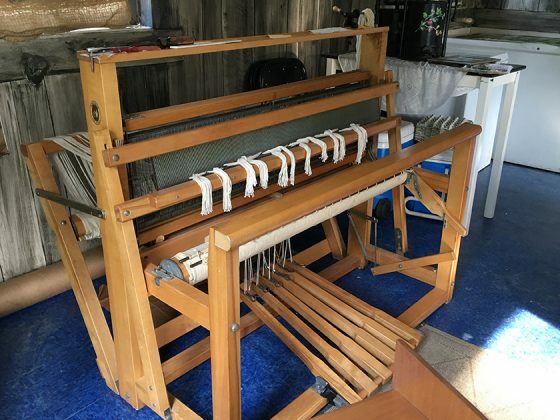 The loom will warped and anyone can try their hand at weaving this weekend at the Mayhaw Berry Festival. We’ll have all kinds of fiber to mess with – dirty wool, clean wool, camel hair, llama fleece and some cotton. Samples of felting – both dry and wet. Try your hand at using a wool picker (lots of nails so keep your fingers out) and then use the hand carder to make batts and roving for spinning. 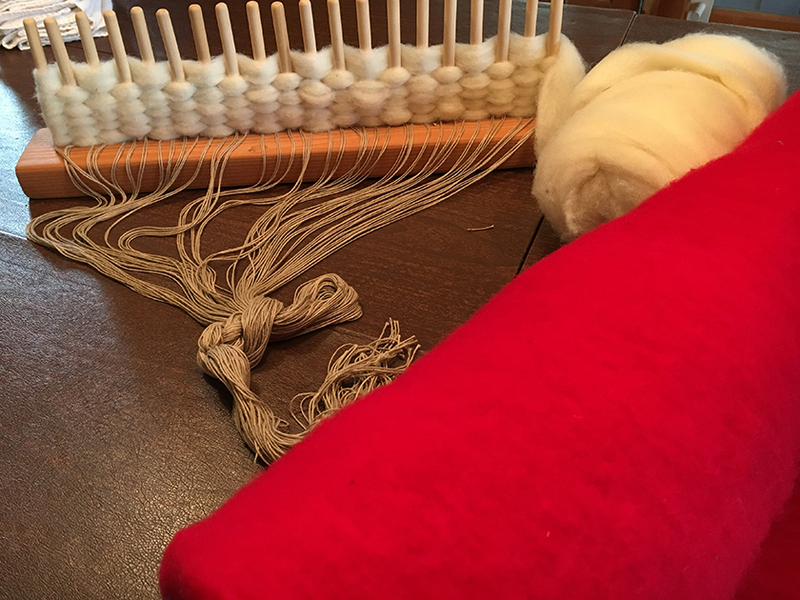 We are setting up peg looms for small rugs and rocking chair cushions, and handmade knitting looms for caps and scarves. Alice Cappa will be spinning nearby on Saturday, and experienced weavers from our local guild, The Seven Hills Handweavers Giuld will be here to share their experiences and answer questions. Come and have some fiber fun. We’re ‘cooking up’ some special food items for the Mayhaw Berry Festival this weekend. 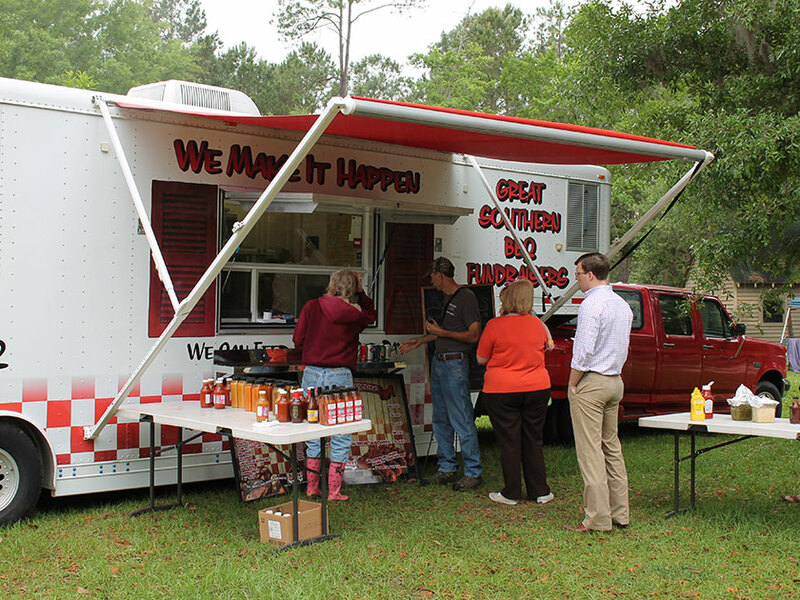 Johnston’s Meat Market will be here with their awesome mobile kitchen. This is the cooking unit they take to storm areas where the emergency personnel need to be fed by the hundred’s. We’re so glad to have Johnston’s here for us – and that there’s no big storm! With fresh carrots and potatoes, and Golden Acres ground goat, this is a real favorite of our visitors. Johnston’s will be serving small and large cups from their mobile kitchen, and you can buy ground goat from the Country Store. We’ll also be serving hot biscuits and Mayhaw Jelly. This is a new item, but sounds so delicious we have to try it. We’ll see if you like it, too. The biscuits are from our local Jefferson Farmers Market on East Washington Street. You’ll also find Mayhaw Berry Bundt cakes and ice cream on a stick in the Country Store… while supplies last! For those of you who are already tracking the “Berry Barometer” on this year’s Festival Page, you know that the warm, dry winter and the late frost crashed our berry harvest. Last year, we harvested 200 gallons, this year we’ll only have 5-6. It’s not happening just here at Golden Acres Ranch, either. We’ve been hearing it from people around the whole region. A woman from Texas called looking for berries because her usual source lost his crop this year, too. Well, this is ‘Reality Farming.’ Some years just don’t work out. Bobbie says it’s only happened once before in the last 17 years. Still, the Festival goes on! And we hope you all will come out and share this ‘unBerry season’ with us. Bobbie and Charissa are making up jelly from the last of our frozen berries, so you won’t do without this special, regional treat. There’s some baking of Mayhaw Cake going on, too, filling up the house with good smells. And here’s an idea. We’ll give out cups for you to go out and find berries. You can keep what you harvest, and we even found a recipe for dessert sauce you can make with just a cup of juice. from heat. Serve warm or allow to cool. Refrigerate unused portion. Stir or shake prior to using. Excellent on cheesecake, pancakes, waffles, crepes, fruit, cream cheese, cakes, etc. Speaking of the house, we have a special surprise for log-home lovers this year. Tours of the House for $5 each. They will take place at 11 am, 1 pm and 3 pm both days. Okay, there, we said it! Now we have to clean the house. If you are a regular, you know that we will have hay rides with farm tours. Ours is a working goat and sheep ranch. You’ll see some young’uns in the pastures, as well the tiny mini-myotonic goats that are just as small. You can buy cups of feed and let your kids enjoy the petting area. 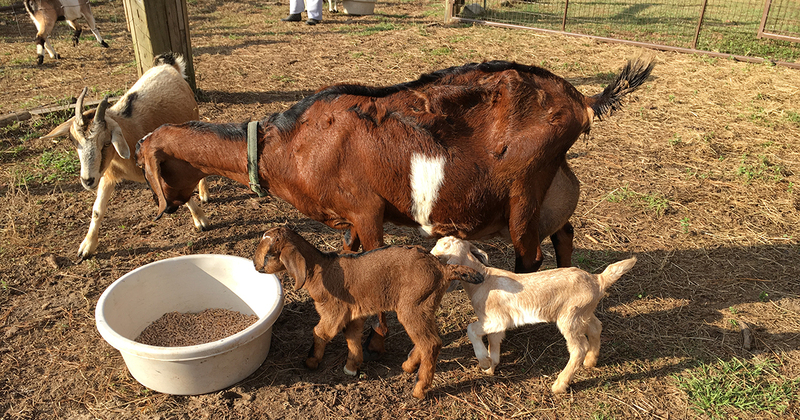 We also have myotonic, or Tennessee Fainting Goats, that are ready to sell for pets, meat or livestock breeding. We have a lot of chickens right now, which are fun to watch. There will be corn hole games, a basket ball hoop and hammock as well as picnic tables to enjoy your day out. 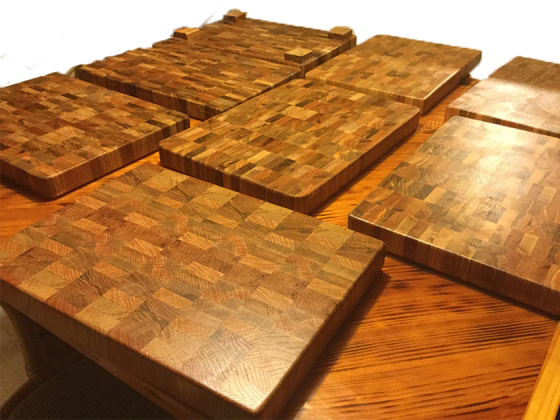 Besides the local artists, producers and vendors you have come to expect, we have George Holm who makes red oak wood cutting boards in all shapes and sizes. Melinda and Bob Copper have new art to show; clay masks. They’ll have their custom cards, too. They are responsible for much of the painting and artwork around the ranch. Be sure to take a good look at the walls in the Country Store. Melinda and Bobbie created the neat effect. Clear Lake Farm will be here this year! They will have a variety of USDA pork products: sausage, chops, Boston butts etc. The hogs are forest-raised on our farm. They’ll also have goat milk soap, and cheese which is non-GMO and made at the farm with raw milk. And maybe some organic produce from our garden. Johnston’s Meat Market‘s mobile kitchen will be here, featuring catering pro, Ursula Wuerner. 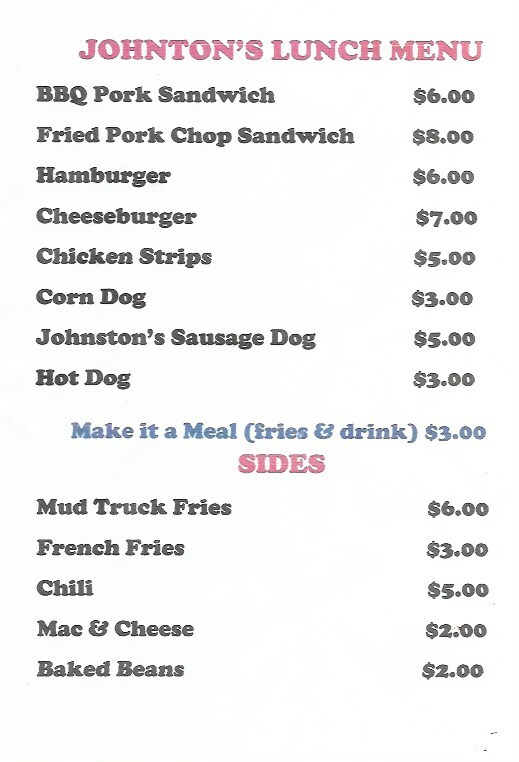 Johnston’s sandwich menu will be available as well as Mom Golden’s curried goat, a favorite with our Festival-goers. Looking for local ag or residential property? All Realty Services is new to us and asked to be a part of our Festival. They are a locally-owned and operated real estate brokerage firm serving Jefferson county, Madison county, and the surrounding areas. They will set up as an informational booth where you can leisurely talk to them about the home and property buying and/or selling process, and what properties are available right now. The Country Store this year is stocked with jelly, of course. We also have our fresh, frozen, USDA-processed lamb and goat. Cuts include ground and cubed bone-in of lamb and goat, plus cubed boneless and leg roast of lamb, and shanks and leg (ham) of goat. 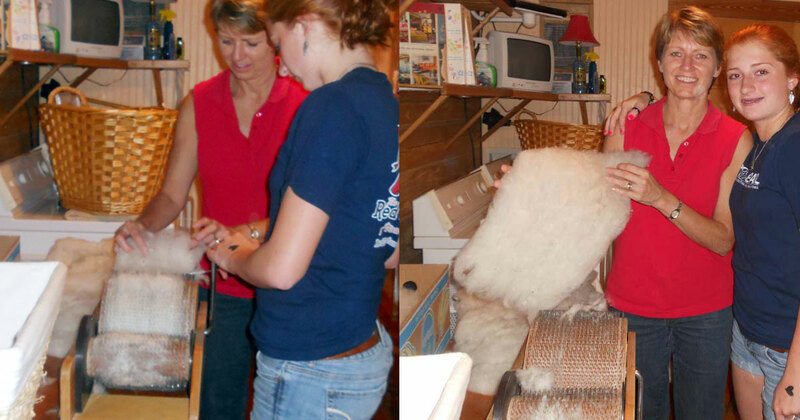 You can see the big loom Bobbie is working on, and even try your hand at rug weaving. It’s that time of year again. 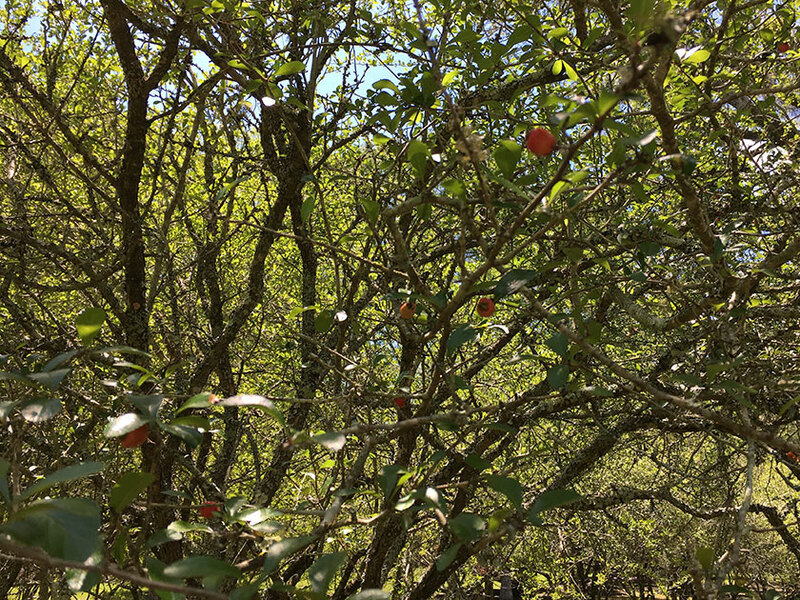 Time for the Mayhaw Trees to be producing berries! But are they? There was a late frost just as the trees came out of dormancy, and this winter was too warm and dry. So we are checking them every day to see what the harvest might be like. For a Berry Barometer Report, check our Mayhaw Berry Festival Page. Fresh berries or not, we are gearing up for a fun festival, gathering together our sponsors and local vendors. Honey had a litter of fluffy, healthy pups on March 18th. All but one of them are sold and will be ready to go to their new homes on Saturday, May 13th, the first day of the Festival. Now India (Honey’s mom) just had a litter this last weekend! They won’t be ready for new homes until June, but they will be here, and crawling around, for the Festival. We’re only putting some of our posts in the Newsletter now. So come on by the website to see more. 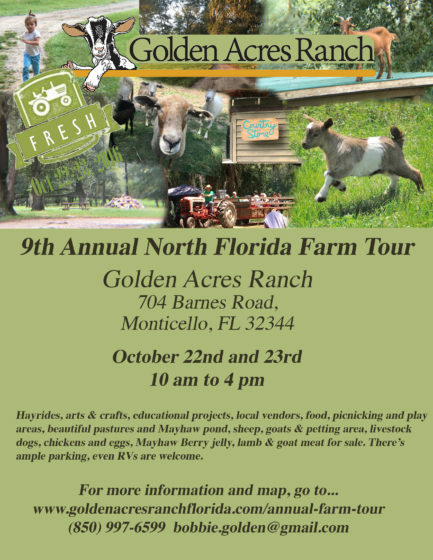 https://goldenacresranchflorida.com/blog/. Honey had a litter of fluffy, healthy pups on March 18th. They’re are all sold but one, a male. Here’s a photo from just this morning. India (Honey’s mom) had a litter yesterday! It looks like she’s had five, but we are leaving her alone (except for food and water) for the first week. She’s nested under the porch so it’s not too hard to visit her. 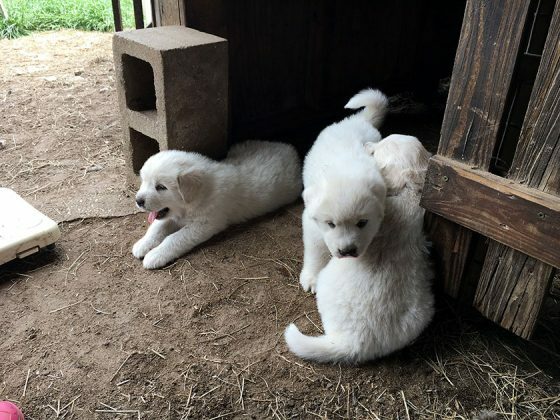 These are Great Pyrenees, so remember, they are livestock dogs, not house pets. It’s tempting, as a novice owner, to let them them jump up on you and climb into your lap. Discourage this from an early age, though. It’s really hard to train them out of it when they are over 100 pounds! Great Pyrenees are pretty easy going and human friendly, but they are not people-pleasers, like my chocolate lab for example. They live out in the pastures with our goats and are used to entertaining themselves. They don’t herd the goats, just hang around and protect them from intruders. If this sounds like the kind of dog you want for your ranch, you can buy them from us. Send an email saying when you want to come out and select one. We’ll put a collar on the one you select. We follow all the recommended veterinary procedures with the pups and get them certified to go at about 8 weeks old. We try to show them off on Instagram, which posts to Facebook, too. So follow us on those platforms to see our most current images. Hi all. This is Christine. I’ve been here a year now, and I’m finally in a position to do more ranch work. I’ve been feeding the animals in the mornings and taking care of the chicks. It’s hard to take photos and feed the animals at the same time, but I’ll do my best. Here’s what a typical morning feeding the animals is like at Golden Acres Ranch Florida. These videos were taken in January, yet, except for how young the lambs are, the rest is still pretty typical. We start in the feed room, filling the appropriate buckets and loading them into the gator. I know I’m careful to lift with my legs. I hope everyone else is, too. Our daily goal is to have a “look at” each animal. The pellets and minerals we provide are to supplement the pasture which is the main diet. Florida soil doesn’t have all the nutrients that ruminants need to be healthy. 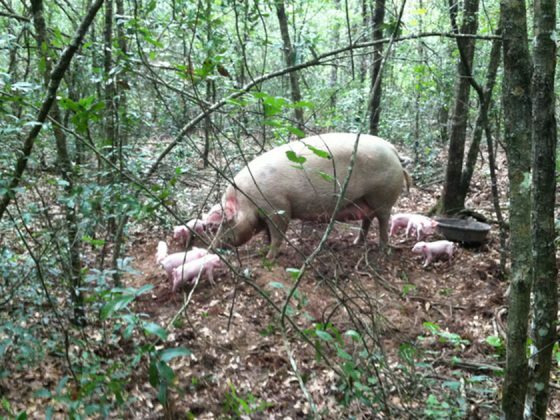 The pastures are naturally fertilized by the goats, sheep, chickens and guineas. We pull and burn any invasive weeds that might harm the animals. All this keeps us from having to use any chemicals. No, the “Golden Blend” is not our concoction. We get our feed from Custom Milling in Davisboro, GA. They are really nice folks, and they do all the loading into our feed room. 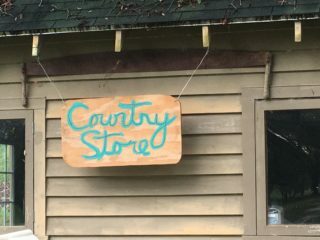 You can buy goat, sheep and dog feed from us in the Country Store. Let us know what you want and how often and we’ll add it to the order. Goat feed has Copper in it, which the goats need but which the sheep can’t accumulate. So we’re careful what buckets we put what in, and keep the buckets well-labelled. 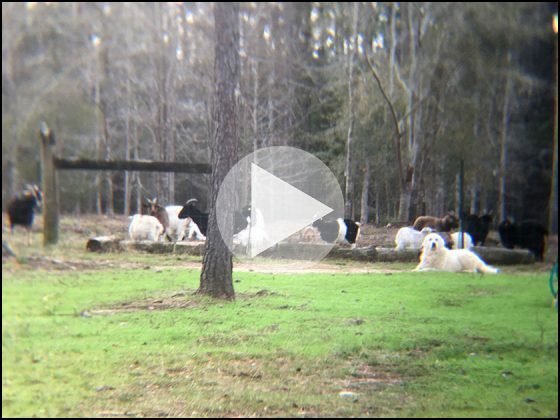 We have more pastures of goats than this video shows, and the chickens, but you all get the idea. All together these morning chores take me an hour and a half. We have a daily task list that everyone checks off when they get something done. You’ll notice in the video, just as we’re approaching the sheep, that we found a dead goat kid. I didn’t show the details because this is a family video. 🙂 But death is a normal part of ranching. A large predator must have carried this goatling out of her pasture. Maybe the livestock dogs finally scared it off so it was dropped in the yard. A large owl, maybe. Fortunately, this doesn’t happen all the time. It seems to run in phases. We heard some extra barking the night before. In the video, you’ll notice I took extra care to keep an eye on the male sheep, or ram. They can get aggressive as they age. If they think you’re not paying attention they’ll… well, ram you. It’s like being hit by a truck, and just as dangerous. So, we don’t turn our backs to them. I’ve opened up the comments on the website for this post. I’m curious, what are your morning animal chores? Click on the title of this article to post in the comments. It’s good to know how to improvise what’s needed. Remember the makeshift chick brooder we’ve been using for the guinea chicks? A free-standing tub in a back porch, a heat lamp and thermometer. Messy, smelly and inconsistent temperatures, but it worked well enough for the guineas. Well, now that we know we can, we decided to go for convenience, and it’s been great! We ordered 50 chicks a few weeks ago. Did you know they come in the mail? The chick producer texts us when they ship and we make sure we can go pick them up the moment the post office calls. 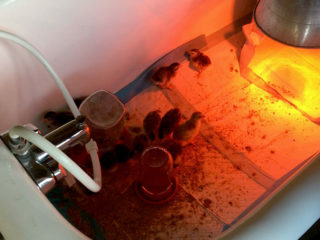 There’s a limited window for how long the chicks will survive in the box. We had assembled the new brooder the day before so we were ready. 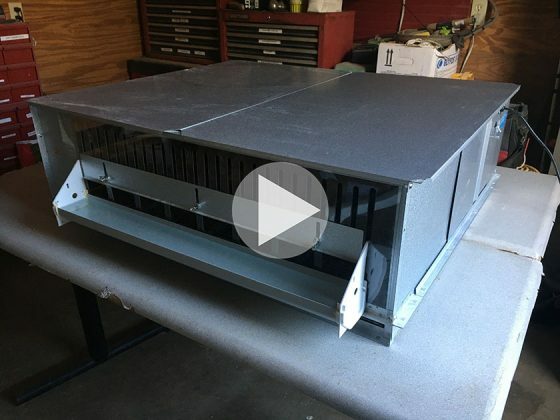 The brooder is a large, square metal box with some great features. We put it in the tool room so we could better regulate the temperature. 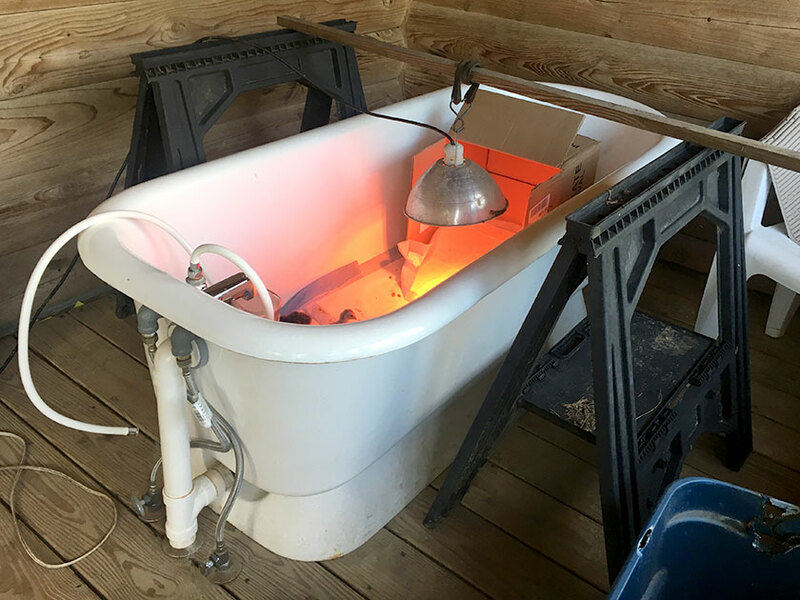 The new chicks need to be at 90 to 95 degrees, and the brooder comes with two blue, heat-producing bulbs. We put a small heater in the room as well. The tool room has a window for light, and we removed the gas-powered tools because of the fumes. Here’s a video. The video shows feeders on three sides of the chick brooder, one of which we used as a water container. Chicks and chickens will poop anywhere, so these feeders let them stick their heads out instead of walking around in their food and water. We adjusted the space for their heads as needed. For the first week, even the smallest opening allowed the chicks to get out, so we did put the feeders on the inside for a short time. You can see it has a thermometer easily accessible. And a sliding door to open in the back. Moving the tops of the brooder panics them a lot, so we check them from the door. Inside, the chicks walk on a grate that (mostly) lets the poop fall through to a paper-covered tray in the bottom. We changed the paper daily. There were two ‘huge’ chicks in the batch we got. The company we buy from always asks if we want an ‘exotic’ chick. Usually, it’s a rooster. But maybe this time, it was these two large chicks. 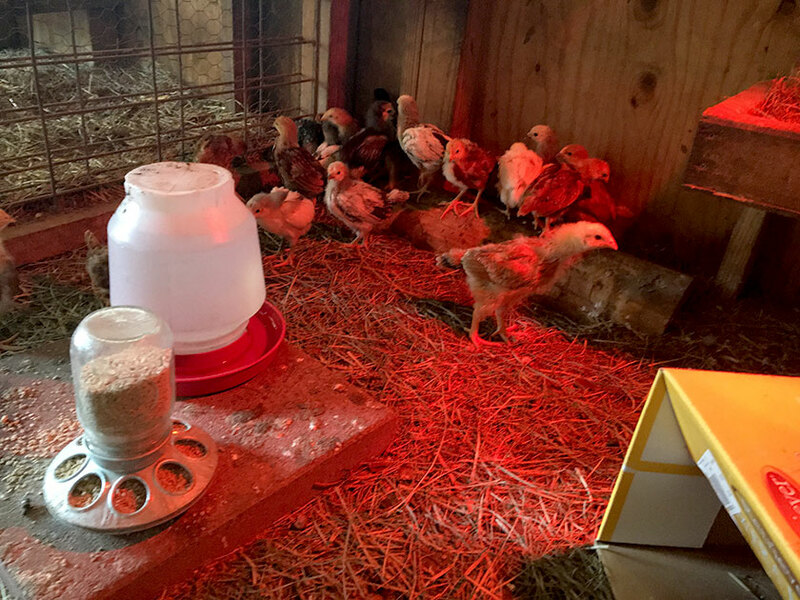 Well after the first week, we realized they couldn’t get their heads out of the small openings needed for the other chicks, so we made a coop with a heat lamp in one of the barn stalls for them. They did just fine by themselves. 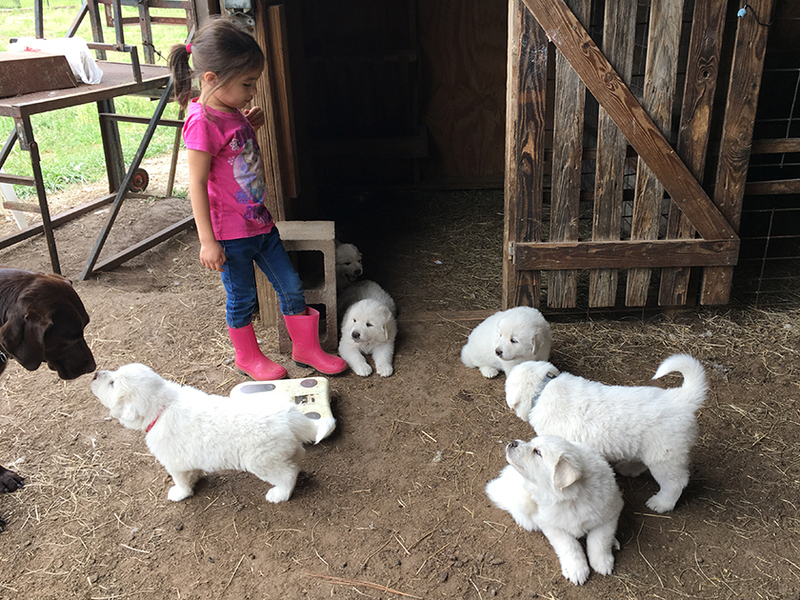 In week three, all the chicks had grown so big, the brooder was too crowded, and the smaller breeds were getting pecked on by the bigger breeds. So we moved about 20 of the chicks to the barn brooder. They did great for a week and so this morning we moved the rest of them to the barn, and put in another lamp. No, we’re not selling chick brooders! Just telling you the story of our new chickens. We’ve now been in the farming/ranching business for 15 years. I don’t count the first year we bought the place. That was mostly cleaning the property and getting our sea legs or should I say our “critter” legs. 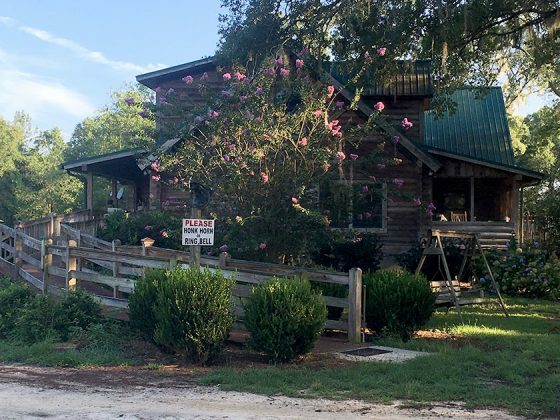 Those of you that have been acquainted with us all this time know we started with Tennessee Fainting Goats, then chickens (given to us by a friend), sheep or rather lambs, bought cheaply from another friend, and the Mayhaws that were already on the property. Thus the adventure began. It took a lot of research and mistakes to arrive at our current destination. All of which I have enjoyed but often to the chagrin of other nameless family members. Slowly I’ve gained knowledge from ole’ timers, extension agents, other producers and by actively becoming involved with numerous agriculture boards. Then there is all the dirty work such as cleaning shelters and coops, giving shots and de-worming medicine, and then the sad part of having to bury a barnyard animal. The farm is run without a lot of big or expensive equipment. We have a vintage tractor for mowing mainly. We do use it to move the portable chicken coops. Our Gator (ATV) now has over 1,000 hours of working time and is used mainly to carry feed to the animals. Everything else is done by manual labor. We use our own locally produced manure from the goats, sheep and chickens in our compost pile. Our pulling up and burning skills are used for weed control. We are also fortunate to have the help of family members for chores. Everything from removing debris after a hurricane, internet skills, feeding, cleaning pastures, record keeping along with hoof trimming and doctoring animals when needed. Golden Acres Ranch now has two well attended festivals each year. The Mayhaw Festival each spring and Farm Tour each October. It was known for years as the New Leaf Market Tour (now supported by Millstone Plantation). Our ranch has been one of the thirty plus farms or ranches in the event for the last nine years. Our farm alone has 300 to 500 visitors over a two day period for either of these events. This experience has allowed me to make many acquaintances and friends. I’ve also gained a tremendous respect for the full agriculture community. Lots of people ask us questions about ranching, and folks often come for tours of the farm. They bring their children and friends to see what it’s like and to experience the lifestyle. Some want to see if they can make the leap and others are just curious. Either way, we are always willing to share. Many want to volunteer and so I’ve decided to organize something to fill that request. My ulterior motive? Could be to get additional help cleaning the barn or chicken coop. Actually, you can participate, or just watch and ask questions. My plan is to schedule a “chore” or program on the third Saturday of the month and some weekdays. Identifying Goat Moms and Kids recording tag number, tagging the babies, taking photos, checking hooves and for parasites. It is too early to wean. That is a chore for next month. 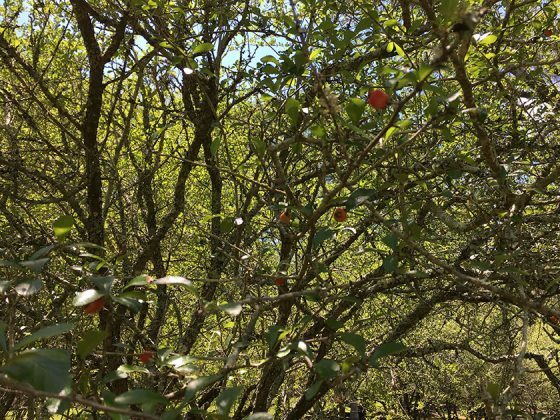 Making Mayhaw Jelly – I have some personal gifts I need to prepare and samples for the Mayhaw Festival. This inspires me to get the job done and the added fun of sharing how we do it. Sheared wool, picking, cleaning and carding in preparation for roving, spinning or felting. As you can imagine, we are totally focused on getting ready for the Farm Tour that starts Saturday. We will have processed lamb and fresh, homemade jelly in the Country Store. Charissa has crafted a bunch of Halloween and Harvest-time felt critters. And we will have some persimmons which we picked from the trees we’re about to plant in our orchard. The Monticello Volunteer Fire Department and their mascots, Thor and Laroque will be there, along with many of the crafts and farm product people you know. 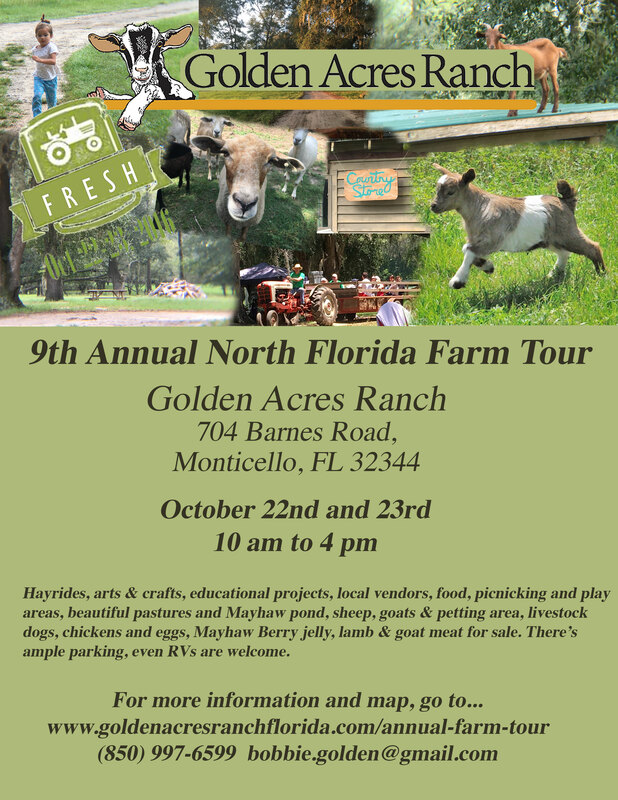 We are updating our Farm Tour Event Page moment by moment! 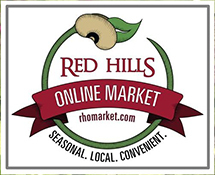 So, you can check there to see if your favorite vendors and craftspeople will be there. Last fall we planted 12 Fuju Persimmon Trees, a non-astringent type, in the back easement. Then we decided to set aside five acres of a back pasture and turn it into a full orchard. This spring we planted 14 Mayhaw Trees (No they don’t have to be in water). This week 49 more Persimmon Trees arrived. They are loaded with fruit and we are so thrilled. This is our first marketable crop. They will be harvested and ready to sell during the Farm Tour this weekend. Check them out at the Country Store. We’ll be showing The Orchard off during the hayride. It is being irrigated by gravity using our solar well. The trees will actually go into the ground next week. I’m told it is time for them to go to sleep. We will shape them up with a trim in January and in the spring we will use our chicken litter compost to fertilize them. We don’t claim to be organic but try to avoid chemicals whenever possible. The goal is to raise native fruit trees that flourish in this zone naturally. Persimmons are a specialty fruit particularly sought after by the Asian market. Charissa and I found a local source several years ago. Many folks tell us about eating one and how it made their mouth pucker. Well, they ate an astringent persimmon before it was ripe. Yucky!. We ripen them on the counter and bake persimmon bread. The Fuju (non-astringent) that we are planting can be eaten like an apple once it turns orange. It gets even sweeter as the color darkens. We are looking forward to seeing you during the tour.